A highly anticipated vote by the Elk Grove City Council regarding a voter referendum related to the proposed Indian casino was delayed last night. The vote would have decided on how the City was to proceed with a referendum that seeks to reverse a recent decision by Elk Grove that is crucial to the Wilton Rancheria's plans to build a $400-million casino resort on a portion of the site of the unfinished Outlet Collection at Elk Grove shopping center. 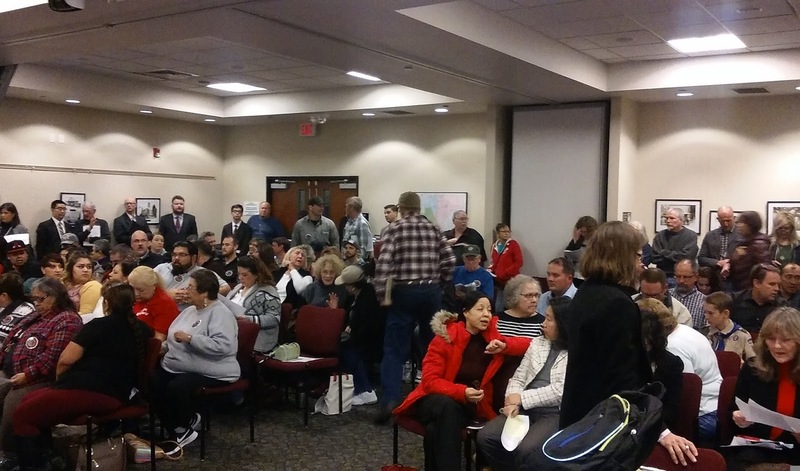 The announcement at the beginning of the meeting by Vice Mayor Steve Detrick told the standing-room-only audience that the City Council would not be voting on when to schedule an election to consider the referendum. That referendum seeks to reverse by a popular vote the October 2016 decision by the City Council that released the Howard Hughes Company, the current owner of the Outlet Collection parcel, from a development agreement that was needed by the Wilton Rancheria for their project to proceed. That referendum, which was certified by the Elk Grove City Council at their January 11 meeting was sponsored by Emeryville, Calif.-based card room operator Knighted Ventures LLC who operates card rooms including several in the Sacramento region. In his announcement Detrick said the decision to delay action on the item was based on a letter the City received from attorney Brigit Barnes, one of the attorneys representing Stand Up For California (SUFC), a gaming watchdog group. "We want to do it once, and we want to do it right," Detrick told the audience packed into the City Council chambers. Although the item was removed from the agenda, several people spoke about the referendum and the casino in general during public comment on non-agenda items. One of the speakers was Cheryl Schmitt of SUFC. During her comments, Schmitt criticized the City Council, specifically an information sheet provided by the City regarding the casino and the referendum procedure calling it "deceitful and corrupt." She also countered the City's assertion that it has no say in the matter. Schmitt pointed to votes by the Planning Commission and the City Council removing the development agreement as demonstrative of the City's crucial role in determining the future of the development. She also noted that as long as the parcel is not in title, the final determination as to whether the casino can be built is not determined. After the conclusion of public comment, City Attorney Jonathan Hobbs said even though the land can be placed into trust, because the ordinance removing the development agreement has been suspended pending the referendum, the development agreement has "sprang back to life." "What the BIA [Bureau of Indian Affairs] has said through this record of decision is whether the development agreement is on the land or not, does not preclude the property from going into trust for purposes of the tribe," Hobbs said. After the meeting, Barnes said the record of decision from the Department of Interior says they believe based on the environmental impact study the parcel could be taken into trust. However, that decision was postponed based on a 705 Stay Request petition filed in Federal court by the law firm of Perkins Coi on behalf of SUFC. "It is unclear whether the Department [of Interior] is reconsidering whether the certification of the referendum which as you know occurred on the 11th [of January] is part of the delay or not," Barnes said. "I say this because there has never been a prior case where the Federal government has taken title to land with multiple encumbrances like those contained in the development agreement recorded against property."